There is no geek in the world who would say No to anything that has something to do with Star Trek, for sure. 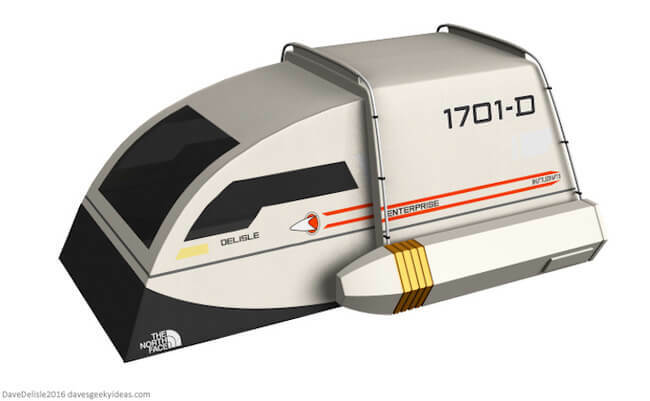 Designer Dave Delisle, probably a geek himself, has come up with an interesting idea that every Star Trek fan will be delighted with and which will inspire their wish for outdoor adventures. 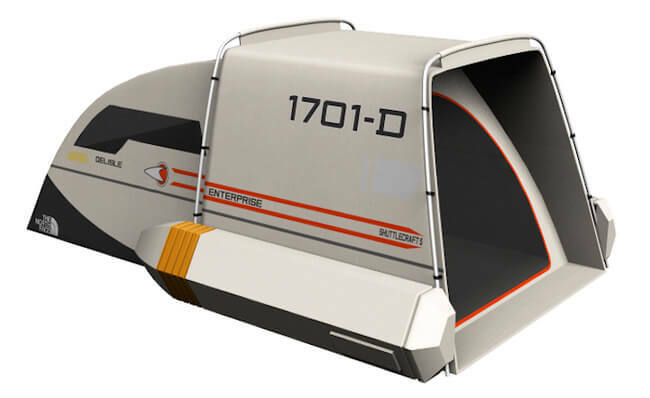 He recently introduced a tent modeled after the Federation shuttlecraft from the legendary series. The tent is in a form of an intergalactic ship, and sure will be an interesting sight at camping surfaces. It is made for two and when you look at it, it gives the impression it will take off any minute. 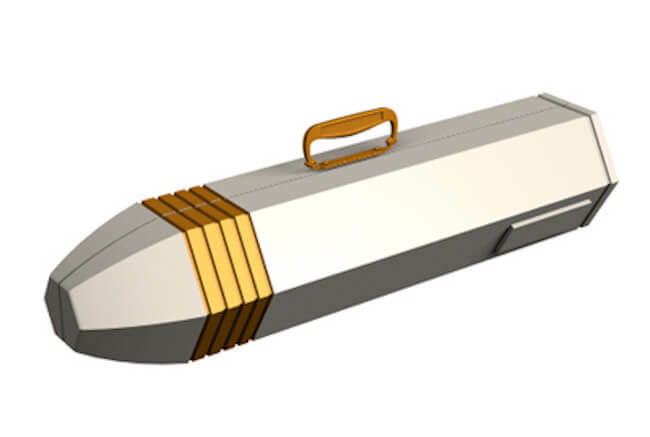 It is very practical for handling too and when it is not in use, it’s stored in a carrying case that splits apart to become the ship’s thrusters; a very smooth touch to this cool tent design which you can check out in the gallery. “It’s not such a far-fetched idea,” he wrote. “Star Trek V began with Kirk, Spock, and McCoy camping in the great outdoors,” Delisle explained his initial inspiration and we think that more geeks will decide to spend some time outdoors thanks to him and his Star Trek tent model.